VIGNETI: Il nome del vino Unterebner deriva dal nome del maso da cui provengono le uve. I vigneti si estendono ad un'altitudine di ca. 450 metri s.l.m. L' "Ora", il vento che risale dal Lago di Garda durante l'intero periodo vegetativo si fa sentire nelle prime ore del pomeriggio, assicurando un'ottima ossigenazione della. Il terreno è di conformazione ghiaiosi ed argillosa. VINIFICAZIONE: Dopo la vendemmia l'uva è stata sottoposta ad una pressatura soffice immediata. La successiva fermentazione è stata fatta in botte di legno a temperatura controllata (18-20°C). L'elevazione e invecchiamento avviene per il 80 % nella botte di legno grande ed il rimanente 20 % nelle barrique di rovere francese. NOTE SENSORIALI: Per la sua qualità questo vino è stato inserito nella speciale collezione "Selektion Terminum" che raggruppa sotto il suo marchio solamente vini di grande pregio, accuratamente selezionati. Il vino si presenta con un colore paglierino carico, e un olfato dominato da sensazioni speziate. In bocca sprigiona una nota minerale accompagnata ad una grassezza notevole. Il finale è avvolgente e lungo. "Decanter World Wine Awards" has rated the wine "Cantina Tramin Selections 'Unterebner' Pinot Grigio Alto Adige, Trentino-Alto Adige, Italy" from the vintage 2015 on 01.01.2017 with 84 of 100 points. "Falstaff Magazin" has rated the wine "Cantina Tramin Selections 'Unterebner' Pinot Grigio Alto Adige, Trentino-Alto Adige, Italy" from the vintage 2014 on 06.07.2016 with 91 of 100 points. "Vinous Antonio Galloni" has rated the wine "Cantina Tramin Selections 'Unterebner' Pinot Grigio Alto Adige, Trentino-Alto Adige, Italy" from the vintage 2014 on 01.05.2016 with 83 of 100 points. "Wine Enthusiast" has rated the wine "Cantina Tramin Selections 'Unterebner' Pinot Grigio Alto Adige, Trentino-Alto Adige, Italy" from the vintage 2014 on 04.01.2016 with 88 of 100 points. "Wine & Spirits Magazine" has rated the wine "Cantina Tramin Selections 'Unterebner' Pinot Grigio Alto Adige, Trentino-Alto Adige, Italy" from the vintage 2013 on 01.08.2015 with 90 of 100 points. 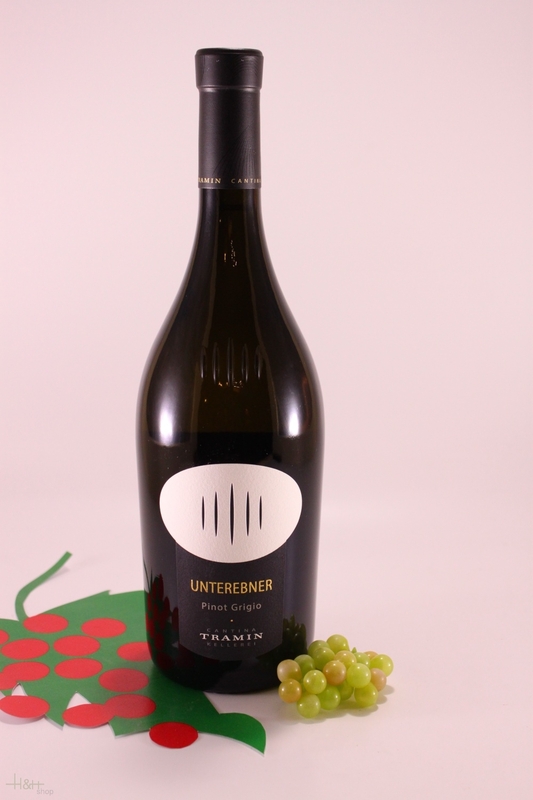 "Falstaff Magazin" has rated the wine "Cantina Tramin Selections 'Unterebner' Pinot Grigio Alto Adige, Trentino-Alto Adige, Italy" from the vintage 2013 on 23.06.2015 with 91 of 100 points. "Vinous Antonio Galloni" has rated the wine "Cantina Tramin Selections 'Unterebner' Pinot Grigio Alto Adige, Trentino-Alto Adige, Italy" from the vintage 2012 on 01.03.2014 with 89 of 100 points. "Wine Enthusiast" has rated the wine "Cantina Tramin Selections 'Unterebner' Pinot Grigio Alto Adige, Trentino-Alto Adige, Italy" from the vintage 2012 on 06.01.2014 with 88 of 100 points. "Wine Spectator" has rated the wine "Cantina Tramin Selections 'Unterebner' Pinot Grigio Alto Adige, Trentino-Alto Adige, Italy" from the vintage 2012 on 15.12.2013 with 88 of 100 points. "Wine & Spirits Magazine" has rated the wine "Cantina Tramin Selections 'Unterebner' Pinot Grigio Alto Adige, Trentino-Alto Adige, Italy" from the vintage 2011 on 01.08.2013 with 91 of 100 points. 90 - 92 of 100 Points. "Falstaff Magazin" has rated the wine "Cantina Tramin Selections 'Unterebner' Pinot Grigio Alto Adige, Trentino-Alto Adige, Italy" from the vintage 2012 on 25.06.2013 with 90 - 92 of 100 points. "Wine Spectator" has rated the wine "Cantina Tramin Selections 'Unterebner' Pinot Grigio Alto Adige, Trentino-Alto Adige, Italy" from the vintage 2011 on 30.04.2013 with 90 of 100 points. "Wine Enthusiast" has rated the wine "Cantina Tramin Selections 'Unterebner' Pinot Grigio Alto Adige, Trentino-Alto Adige, Italy" from the vintage 2011 on 07.01.2013 with 91 of 100 points. "Falstaff Magazin" has rated the wine "Cantina Tramin Selections 'Unterebner' Pinot Grigio Alto Adige, Trentino-Alto Adige, Italy" from the vintage 2011 on 11.07.2012 with 90 of 100 points. "Wine Enthusiast" has rated the wine "Cantina Tramin Selections 'Unterebner' Pinot Grigio Alto Adige, Trentino-Alto Adige, Italy" from the vintage 2010 on 03.01.2012 with 90 of 100 points. "Falstaff Magazin" has rated the wine "Cantina Tramin Selections 'Unterebner' Pinot Grigio Alto Adige, Trentino-Alto Adige, Italy" from the vintage 2010 on 13.07.2011 with 90 of 100 points. "Wine Spectator" has rated the wine "Cantina Tramin Selections 'Unterebner' Pinot Grigio Alto Adige, Trentino-Alto Adige, Italy" from the vintage 2009 on 31.05.2011 with 88 of 100 points. "Vinous Antonio Galloni" has rated the wine "Cantina Tramin Selections 'Unterebner' Pinot Grigio Alto Adige, Trentino-Alto Adige, Italy" from the vintage 2010 on 01.02.2011 with 88 of 100 points. "Wine Enthusiast" has rated the wine "Cantina Tramin Selections 'Unterebner' Pinot Grigio Alto Adige, Trentino-Alto Adige, Italy" from the vintage 2009 on 11.01.2010 with 89 of 100 points. "Vinous Antonio Galloni" has rated the wine "Cantina Tramin Selections 'Unterebner' Pinot Grigio Alto Adige, Trentino-Alto Adige, Italy" from the vintage 2008 on 01.10.2009 with 90 of 100 points. "Wine Spectator" has rated the wine "Cantina Tramin Selections 'Unterebner' Pinot Grigio Alto Adige, Trentino-Alto Adige, Italy" from the vintage 2006 on 15.11.2007 with 91 of 100 points. "Wine Spectator" has rated the wine "Cantina Tramin Selections 'Unterebner' Pinot Grigio Alto Adige, Trentino-Alto Adige, Italy" from the vintage 2005 on 15.11.2006 with 90 of 100 points. "Wine Spectator" has rated the wine "Cantina Tramin Selections 'Unterebner' Pinot Grigio Alto Adige, Trentino-Alto Adige, Italy" from the vintage 2001 on 28.02.2003 with 87 of 100 points. 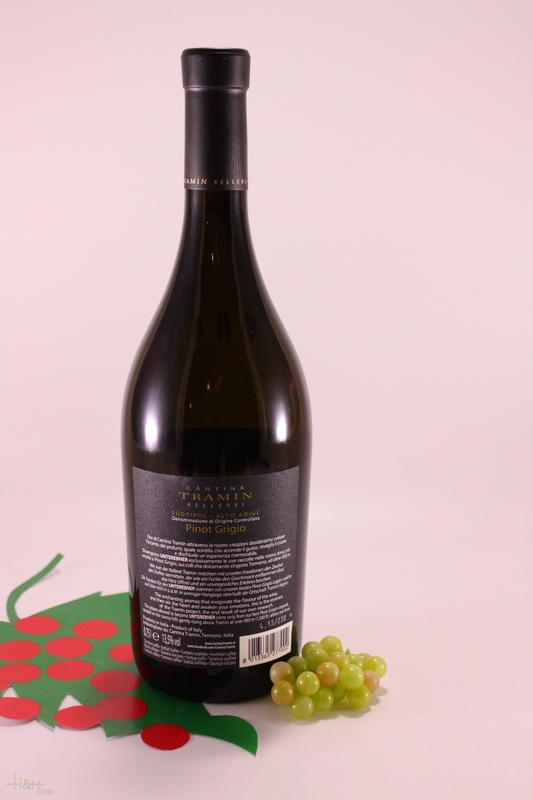 "Stephen Tanzer" has rated the wine "Cantina Tramin Selections 'Unterebner' Pinot Grigio Alto Adige, Trentino-Alto Adige, Italy" from the vintage 2006 with 93 of 100 points.